A proud graduate of the World Learning's School for International Training, Mary is excited to be pursuing a doctorate in adult learning and leadership at Columbia University Teachers College. Along with her work running Centro Espiral Mana, she has served as an English Language Specialist for the U.S. State Department in Latin America. She is also affiliated faculty for the MAT program at the School for International Training, as well as a trainer and a trainer-of trainers. Mary is also on faculty in the Master of Arts in Teaching English to Speakers of Other Languages program at Marlboro College Graduate School. Mary enjoys conferences and teacher training has presented on a variety of topics including the role of input and output in language learning, leadership within the classroom, the role of creativity in language learning, the role of compassion in learning, reflective practice, observation and feedback, thinking skills and intuition. Click here to see her materials from recent presentations and workshops. Amanda Rossi is from New York and graduated from Siena College with her Bachelor's degree in Spanish and International business. She then went on to study for her Master's degree in Spanish at the University at Albany. 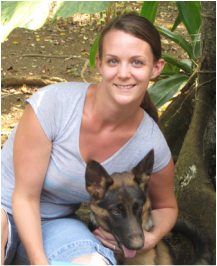 Amanda came to Costa Rica in June 2005 to take the SIT TESOL certificate course and never left! Amanda is the newest addition to the training team here in El Invu. She is not only excited to continue to grow and learn with the participants, but also to work with the local community. Amanda’s interests are in second language acquisition and intercultural exchange. Amanda enjoys traveling, reading, and eating chocolate. Click Here to see materials from Amanda's workshops and presentations. Roger was born in Brooklyn New York and moved to Costa Rica at the age of 14 with his family. Roger received his BA from Universidad de Costa Rica in Teaching English as a Foreign Language. After feeling passionate about teaching English and taking the SIT TESOL certificate course, he went to SIT for the Master of Arts in TESOL program. 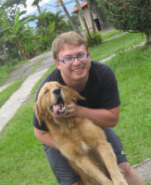 He has taught English to learners of all ages and levels and trained teachers in Costa Rica, New York and South Korea. Roger enjoys spending time with his friends and making the most out of each and every moment of life.